"This is, no doubt, the biggest march and rally Newark's seen since the People's Organization for Progress pulled together the Peace & Justice Coalition for the massive August 2007 protest," one long-time activist told me. That march had well over 1,ooo participants. Today's numbers, after a much briefer period of organizing, tapped right into a new current of struggle in the labor movement. 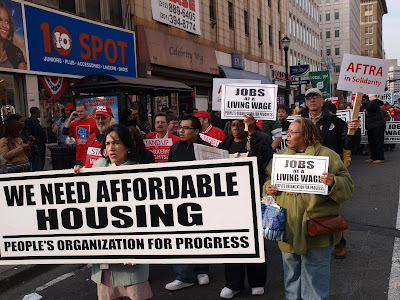 Only after the notorious attack on organized labor by Gov. Scott Walker of Wisconsin (who has tried to style himself after our own Krispy Creme Christie of NJ), did the national AFL-CIO, many local and state feds, and local unions of government workers began calling for "We Are One" days of action for April 4. 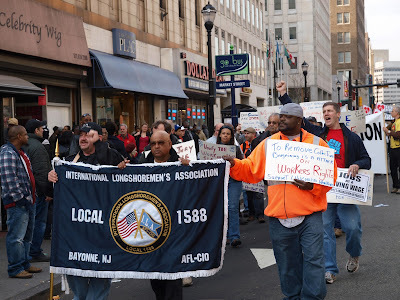 This new spirit of labor struggle brought many union locals to the streets of Newark, and not just the public workers who are under attack by Walker, Christie, and other Koch-sponsored politicos around the country. While the largest union contingent was Communication Workers of America Local 1037, who organize state workers in New Jersey, and many other public-sector unions turned out members, IBEW 827, and three International Longshoremen's Association locals (ILA Local 1233 from Newark; ILA Local 1588 from Bayonne; and ILA Local 333, United Marine Division) were also represented. Both the Essex & Union County Chapters of the A. Philip Randolph Association had contingents present. Honoring the April 4th anniversary of the assassination of Dr. Martin Luther King, Jr. has been a tradition for the People's Organization for Progress as well as sister-organizations like Black Workers for Justice for years (a follow-up Fire on the Mountain will feature photos and information from the BWfJ supported April 4 "We are One" march in the Raleigh-Durham area). 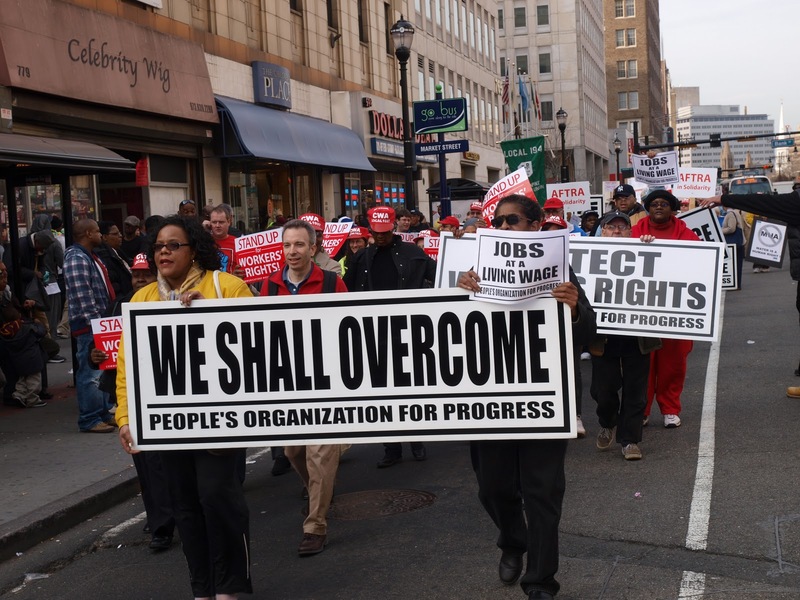 The significant turnout from the labor movement shows promise of being the foundation of an important coalition to be concretized and built on. 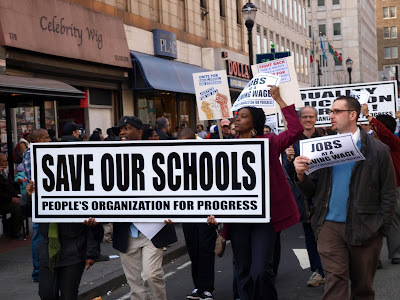 As POP chairman Lawrence Hamm observed, "Our unions fight for us while we're on the job. We get home in the evening and we are the community! 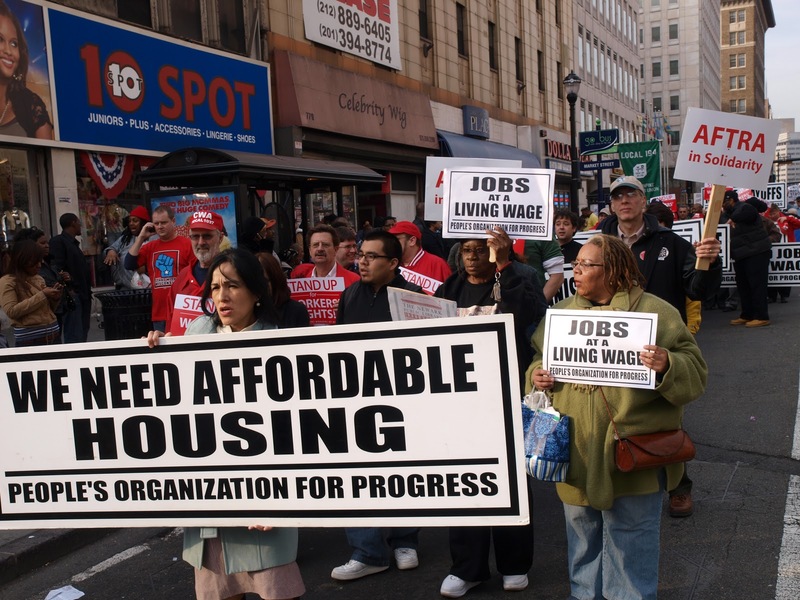 We need community-based organizations to continue the struggle. These are natural allies, we must unite the two fronts of battle." Thanks for pointing this error out, Bear, I will fix this as soon as possible.